As e-learning designers, we’re laser-focused on our learners’ training needs. When we design our courses we think about their prior knowledge, their environment, how tech savvy they are, etc. But something we often neglect to consider is how they need and expect the course to work. Do they need to be able to skip ahead? Or easily find and download a job aid? Where do they expect the submit button to be? Many of us design our courses without putting much thought into User Experience (UX) and User Interface (UI) design. And sometimes that works out okay! Unfortunately, other times it results in a less-than-stellar learner experience. And when learners don’t enjoy their experience, it can have a negative impact on their ability to learn. By following the following six steps, you can ensure your learners have a positive experience with your e-learning courses. Let’s take a closer look! Start by doing an audience analysis. In most cases, this analysis will reveal that your learners have different levels of knowledge, experience, needs, expectations, and goals. So how do you design a course for such a heterogeneous group? By defining different learner personas—or types of learners—and getting to know their specific characteristics. For example, let’s say you’re creating a mandatory course on handling emergency situations for bus drivers. Some of your learners may have taken the same course last year. Others may have taken a similar course at some point in the past, and still others may have no idea how to handle emergency situations as a bus driver. Splitting your audience up by persona allows you to think about the different types of learners that will take your course and how their needs differ. Once you’ve split up your audience by persona, it’s time to determine the goal of each persona when taking the course, and the best way to achieve each goal. The next step is to take the learner persona goals and map out learner scenarios. A learner scenario is the map that shows how you believe each persona will want to interact with your course in order to achieve their goal, step by step. Here’s what your learner scenarios may look like for the example course. The learner skips directly to the quiz. If they don’t pass, they can either review the course or retake the quiz. Once they pass the quiz, they have the option to download a job aid. Note that for compliance courses, you may not be able to offer the option to skip to the quiz. The learner uses the menu to view only the parts of the course they don’t remember. They can skip to the quiz whenever they feel ready. If they don’t pass, they can either review the course or retake the quiz. Once they pass the quiz, they have the option to download a job aid. The learner views the course from start to finish and then takes the quiz. If they don’t pass, they can either review the course or retake the quiz. Once they pass the quiz, they have the option to download a job aid. Depending on the number of course features you detailed in the previous step and how much time and resources you have to build your course, you may not be able to include them all. In that case, you’ll need to prioritize the features that are the most important. To do that, you can start by determining which learner persona makes up the largest portion of your learners. If most of your learners are newbies, for example, you might decide it’s not worth it to create the features required for intermediate and expert learner personas. However, if you have an equal amount of learners from each group, you should consider including all of the required features. If that’s not an option, another way to prioritize the features would be to survey a random sample of learners and ask them to rank the features from most to least important. You could then use the results to decide which features to implement. Now that you’ve pinned down the features and flow of your course, it’s time to start thinking about how to implement it visually. That includes making decisions like: What should the buttons look like? Should they be square or rounded? How big should they be? Where should they be located? Which buttons should be on which screens? … the list goes on! So how do you go about making these kinds of decisions if you’ve never designed an interface before? 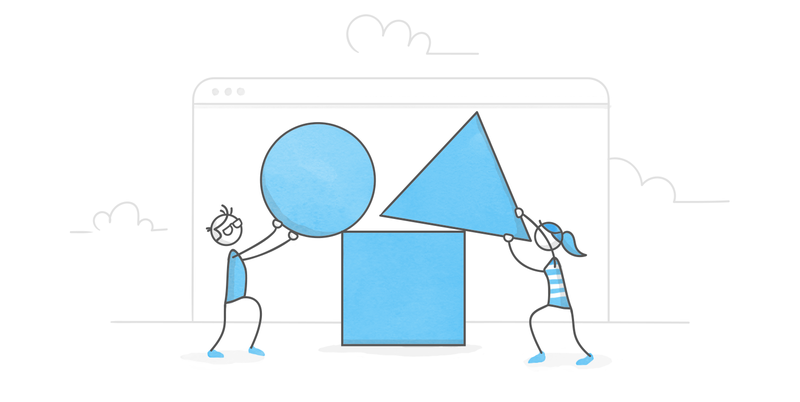 This article is a good place to start: User Interface Design: 3 Things E-Learning Designers Need to Know. Did the course meet your expectations? If not, why not? What (if any) features are missing? What (if anything) would you change about this course if you could? Did anything seem out of place or unnecessary? Did you encounter any pain points? If so, what? Were you ever confused about how to move forward? If so, at what point and how did you expect to be able to move forward? Their answers will help you improve the overall learning experience before you share it with the rest of your learners, ensuring greater learner satisfaction. Designing a positive learner experience comes down to understanding your learners’ goals and making it easy for them to achieve them. And by helping them to achieve their goals, you’re also ensuring the success of your e-learning project. So everybody wins! New to e-learning? Sign up for our E-Learning 101 email course, a series of expertly-curated articles that'll get you up to speed with course development. 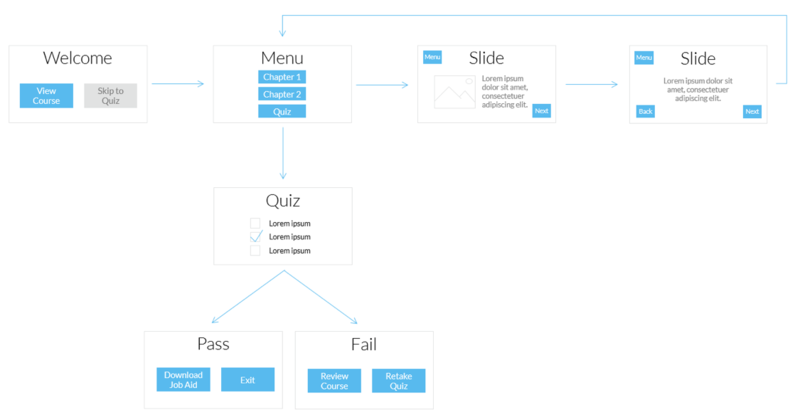 What Are UX and UI Design and How Do They Apply to E-Learning? Thank you for posting this, Allison! Our department really needs to go in this direction for the very reasons you cite. At this point, there is some pushback from management, who believe everyone should be forced to hear every precious word on every slide. But resistance is growing--I'm confident reason will triumph in the end. Let me know how that goes for you, Jay. Similar circumstances here. Adding the "Download Job Aid" to the passed quiz result is a nice touch! muy interesante, sobre todo preciso. Thanks for sharing, good advice.